Home / Columnists/ Is the Indian FTA really working? Is the Indian FTA really working? There is much debate on if the current FTAs are really working and what we need to do before moving to ETCA. The fact of the matter is that even after 15 years of work by Sri Lankan exporters on the 1.2 billion Indian population, the export value of only $ 644 million or accounting for just 7% of the total exports is not very encouraging if one evaluates from a competitive stance. Whilst exports out of Sri Lanka are registering $ 0.6 billion, the imports from India are touching a $ 4.3 billion which is at a ratio of 7:1 in favour of India. Whilst it can be said that as per the law of comparative advantage the overall trade can be skewed towards India the issue is that the quota allocated to Sri Lanka on apparel and tea is not getting realised due to non-tariff barriers. This is the issue that is agitating some of the entrepreneurs like Natures Secrets, DSI and companies who have had unpleasant experiences like Ceylon Biscuits. A point to note is that the Indo-Lanka Trade Agreement was the first FTA that each of our countries had entered into and it was signed within four months with just four to five consultations according to the Indian Institute of Foreign Trade (IIFT) Professor Ranjan Ratna, which means that it is bound to have many rough edges that need to be smoothened. Normally, India takes a minimum of two years to reach a trade agreement with a minimum of twenty consultations by the two parties. Some even after six years of consultation such as the India-Thailand FTA, is yet to be concluded which gives us an idea of the limitations of the Indo-Lanka FTA that was signed. But an argument that some make is that a ten-year honeymoon is ample time to clear the bottlenecks to be resolved provided that there is strong cooperation from both parties which I tend to agree with. 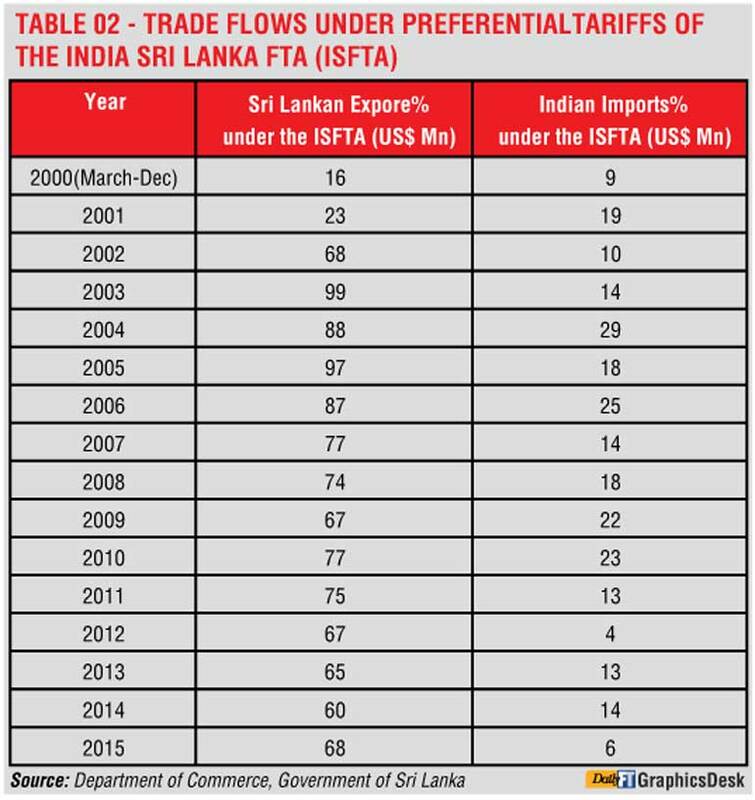 While accepting the global reality, where economic growth is faltering at around 3.5% whilst Sri Lanka is targeting 6% this year, the Indo-Lanka FTA, after 15 years (2000-2015), we see is a mixed bag. 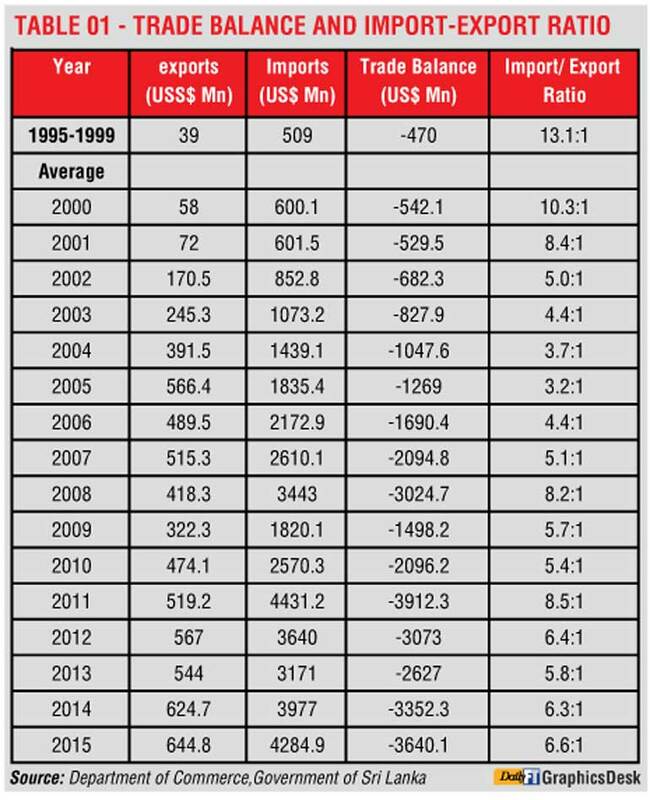 Sri Lanka’s exports have declined from a commanding $ 515 million in 2007 to $ 324 million in 2009 and now registering a $ 644 million performance. This means exports degrowth of around 20% on a year on year basis during the two year period when the overall economic growth was at 7% plus in both the economies. Thereafter, the exports doubled during the period 2009 to 2015 from $ 322 million to $ 644 million but in the backdrop of business expanding exponentially in other markets which means the overall nett growth contracted on exports. If one analyses in depth the product mix performance, it is clear that it does not reflect the comparative advantage for Sri Lanka but the exports are mostly due to the differential external tariff that has brought about this performance which does not auger well for the makers of the agreement. The quota utilisation of the strategic products of Sri Lanka – tea and garments being in the low ebb with Sri Lankan exporters up against non-tariff barriers by Indian authorities such as tariff rate quantities (TRQs), delays in custom clearance of cargo, port restrictions, necessity for several tests to be carried out in India even though certificates are accompanied by the relevant authorities which sure justifies the apprehension that people have towards trade agreements by nature. After all, bilateral agreements are essentially designed to promote fair competition and equitable benefits which Sri Lanka has not experienced from the Indian end which has to be addressed. On the other hand, if one examines the $ 4.2 billion of imports that come in from India almost 70% of it happens outside the FTA, meaning that even without the FTA this business would have happened. Hence, one can question the architecture of the Indo-Lanka FTA that was signed way back in 1998. Even if one discounts the petroleum products that were imported which skews the import picture, the rest of the products imported can be due to trade diversion rather than real imports. If this is so, then should not the FTA be re-crafted to include these products so that all products fall into some degree of regulation under the mandate of the FTA? This may include valuing the prime distribution points that LIOC received as well as the share issue obligations. It is alleged that LIOC made Rs. 500 million nett from the Rs. 1,200 million worth share issue that resulted in a 70% ownership stake which needs verification is my view and corrective action taken in the future. A point to note is that this is only one such case in point that was debated at an economic forum that I attended some time back but, there could be many more in the future that must be managed without killing the spirit of entrepreneurship. Another area that is been hotly debated is the investments that have come in from India. As 67% of the investments have been in the service sector, a question asked by many is had the ISFTA agreement impacted this behaviour or would this have happened anyway. However, there is many a success story such as the CEAT-Kelani. If we go back in time, the original objectives of the Indo-Lanka FTA were based on the premise of a study done on the Regional Comparative Advantage (RCA) and the FTA was to drive equitable trade between regional partners so that each country can benefit from the comparative advantages that one possess in a country. The only obstacle to this end was the gradual removal of trade barriers over a period of time. However, both countries agreed on a list of products which will be in the negative list together with a phasing out list and zero duty lists with a time frame to achieve the end objective of free trade between the countries. The time frame was important so that suppliers can get adjusted to international competition and vice versa. Currently, except for the 429 products in the negative list of India, all other products of Sri Lanka have a zero duty access technically into India. From an Indian point of view, other than for the 1180 products in the negative list, all other products from India were entitled for duty free access to Sri Lanka. Sadly there were no objectives set on the employment that had to be created at the end of a five-year or ten-year time period and hence has become a hotly debated point. The first key point to be addressed is that we must be sensitive to the issues that have been practically raised by industrialists who have faced barriers in operating in India. We must solve them as a priority. I strongly recommend that a proactive Indo-Lanka Trade Secretariat be set up, so that all such issues can be solved as a matter of urgency than having to be made a political issue where higher authorities need to get involved. Solving some of the burning issues before signing the CEPA/ETCA is the cry from exporters and it has some merit as it will give a lot of confidence to the system is my view. Whilst the facts after 15 years of the FTA may not be as attractive as what we expected it to be, the challenge now is to make the best of it rather than keep bickering. The first step is for the policymakers and chambers to get together and agree on a set of ground based targets such as to set up five to seven joint ventures within the next ten years and from Sri Lanka’s end, develop ten export brands in the Indian market just like what Damro and Amante brand has done in the recent past. We must also set some targets on the employment that we intend on creating together with the impact that can be made to consumers. At the end of the day, if the quality of life does not improve with business and trade there can be serious social issues that can emerge in the years to come. When we look back at the last 15 years what we see is that a skewed basket of exports like processed food (essentially Vanaspathy and now poultry feed), copper, electrical machinery, aluminum, articles of stone, organic and inorganic products to name a few, is getting across to the Indian market whilst the strong product categories of Sri Lanka like garments and tea are facing the non-tariff barriers that have upset the exporters from Sri Lanka. The good news is that this is being corrected. As we speak we see increasing exports of apparel and tea from Sri Lanka in the first two months of this year which is encouraging. One of the key questions asked is why Sri Lanka is dependent on the exporting consumables and primary goods rather than focusing on driving value added products that achieve a competitive advantage for the country. The past performance based on the quota granted clearly justifies this. Research reveals that every bilateral treaty brings with it innumerable procedures surrounding rules of origin and tariff reductions. These become the biggest entry barrier to new markets. A typical small manufacturer would therefore have to go through hundreds of clauses and conditions to really understand the impact of FTAs or to gain international access. In this backdrop, let’s re examine the current FTA so that rules of origin does not become a disguised barrier to trade facilitation in the region. A recent study reveals that even if all duties are removed on Sri Lanka the loss of revenue from South Asian counterparts will be a mere $ 0.1 billion. I feel this should be available online so that there is transparency and it would help drive open trade among SMEs. Let’s accept it, the culture of business in Sri Lanka or for that matter, life in general in Sri Lanka is different to India. Most say the quality of life in Sri Lanka is way above India. We also need to preserve this culture which is unique and deep rooted to the family values that exist. I strongly feel Sri Lanka must sign the CEPAs and ETCA, the FTAs. But it must be done with consultation and on the merit of trade. 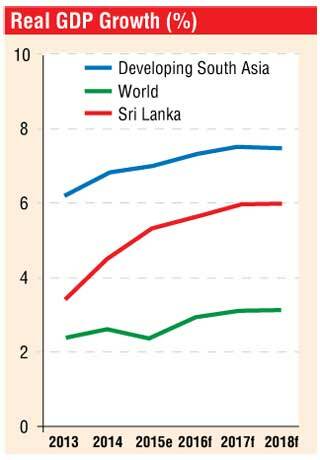 The challenge is for Sri Lanka to accept that globalisation will happen with or without our approval. The only way to insulate ourselves is to make ourselves strongly competitive.